Warm snuggly evenings this autumn start with the coziest comfy bed made up with the best bed sheets, a splendid pillow pile, velvet bedding, and the right scents! 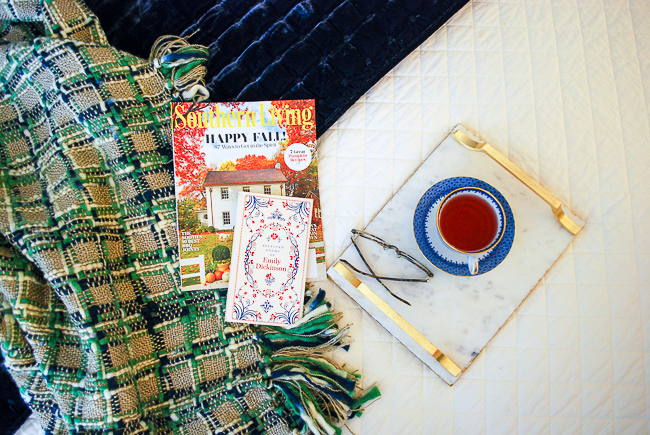 Cooler temps mean warm snuggly evenings in a cozy bed with a cuppa hot tea and my latest Southern Living. 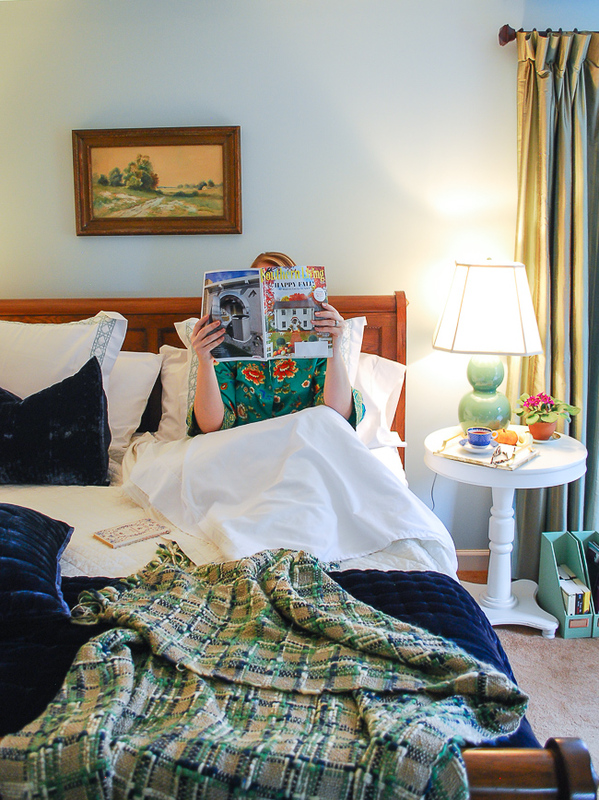 I bet you are picturing that delicious slide into bed after a long day right now, so let me tell you how to make the coziest comfy bed for autumn so your sleep is divine! First, start with a great foundation that means the best bed sheets from 100% long staple cotton with a thread count of 300 or higher. Cotton is the best because it is breathable and durable. The thread count is important because it means a better quality fabric that feels crisp yet soft. Next pay attention to construction. The sheets should have straight well sewn hemlines on the sides and the fitted sheet needs full elastic. 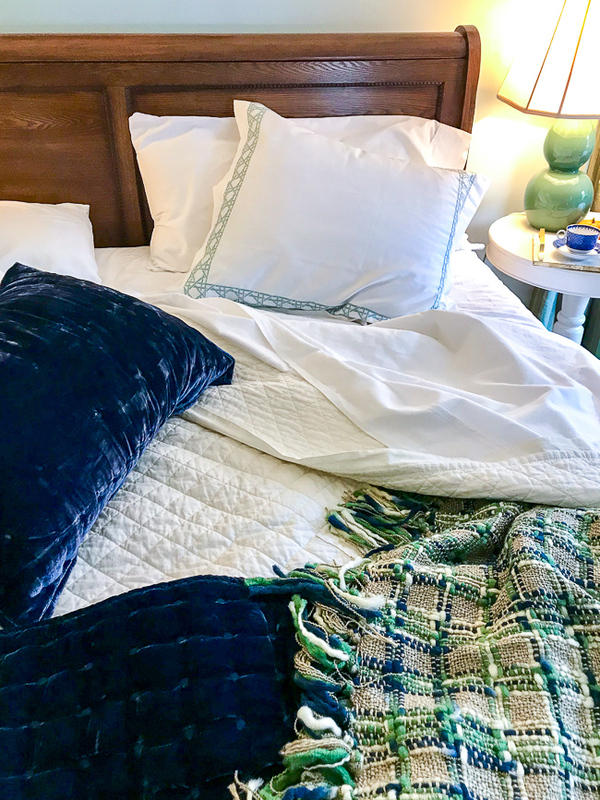 I’ve tried a variety of sheets over the last several years, including an interesting jaunt into the world of linen, but seriously California Design Den’s are the best bed sheets at a reasonable price. These sheets have made my bed extra luxurious and so comfy I can wait to slide in at night. Find them on Amazon here! And finally fold the top wide hem of the flat sheet down to cover the edge of your quilt. 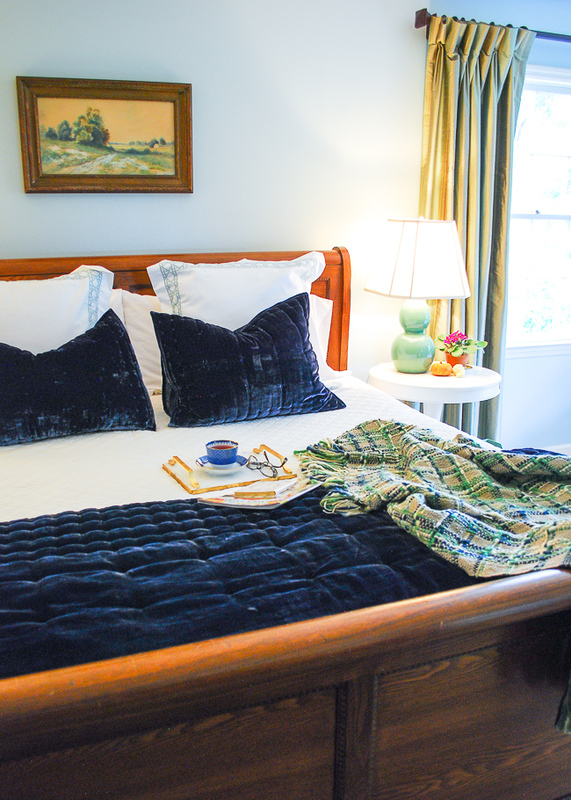 Ready to snuggle in to the coziest comfy bed this autumn? Well, now that you’ve made the foundation, choose your blankets wisely to add warmth and style. The key to this is layering your bedding with mixed textures. I like to use a quilt or blanket for the first layer then add a fluffy comforter or duvet and lastly a beautiful throw (more on that below). Mixing silky textures with fuzzy ones not only adds visual interest to your bedding, but also ups the tactile sensations, making for a cozier bed. For autumn and winter this year, I’ve opted for this beautiful blue velvet comforter. Velvet bedding is just so sumptuous and rich: the sheen, the downy sensation, the associations! What’s not to love? I purchased this velvet bedding from Martha Stewart’s collection for Macy’s on sale. It is currently 20% off and comes in burgundy, gray, and emerald. I think it is the perfect topper to my comfy bed with its rich color and plush feel. What bed would be comfy without a carefully chosen pillow pile? I want my bed pillows to be both beautiful and functional. To that end I mostly use shams that way you can easily pull the case off to wash it. Here is a link to the velvet sham. I also recommend choosing different shapes both euro (that’s the square one) and standard. The variety in sizes makes for prettier stacking, but also increased comfort. Another important consideration when creating your pillow pile is allergens. If you or your spouse suffers from allergies, be sure you select materials and stuffing that won’t trigger those. It is also a good idea to invest in pillow covers that protect against dust mites! As I finish decorating our master bedroom, I’m not sure I’ve totally completed our bed’s pillow pile. I think I’ll take the euro shams, a Lands’ End find, and get them monogrammed. I am also looking for a decorative pillow in a floral pattern that would pull the blue and green together more fully. Let me know if you have any suggestions! The final bedding touch is of course the artfully tossed throw. Look at any design magazine or other blogger’s bedroom and you will see a “casually” laid throw across the foot of the bed! There is good reason for this…the throw looks inviting! It makes you want to snuggle up in bed and relax! Choose a throw blanket in coordinating colors to your bedding that is fuzzy and warm. Toss it across the foot of the bed and immediately be tempted to hop in! Snuggle time guaranteed! Are you sleepy yet? Craving that slide into a comfy bed? 😉 I’ve got one last trick to ensure you have a divine sleep in the coziest comfy bed – relaxing scents. S. and I are obsessed with our essential oil diffusers. We seriously have three placed all around the house. In our bedroom to improve sleep, we love a blend of eucalyptus, lavender, and peppermint. I absolutely swear I sleep more soundly when we use this mix! Another good alternative, is to mist your bed linens with a lovely linen spray. Pick a calming scent that both you and your spouse enjoy. I recommend any of the 3 above or bergamont, citrus, or tea tree. There are lots of tutorials out there to mix your own as well. 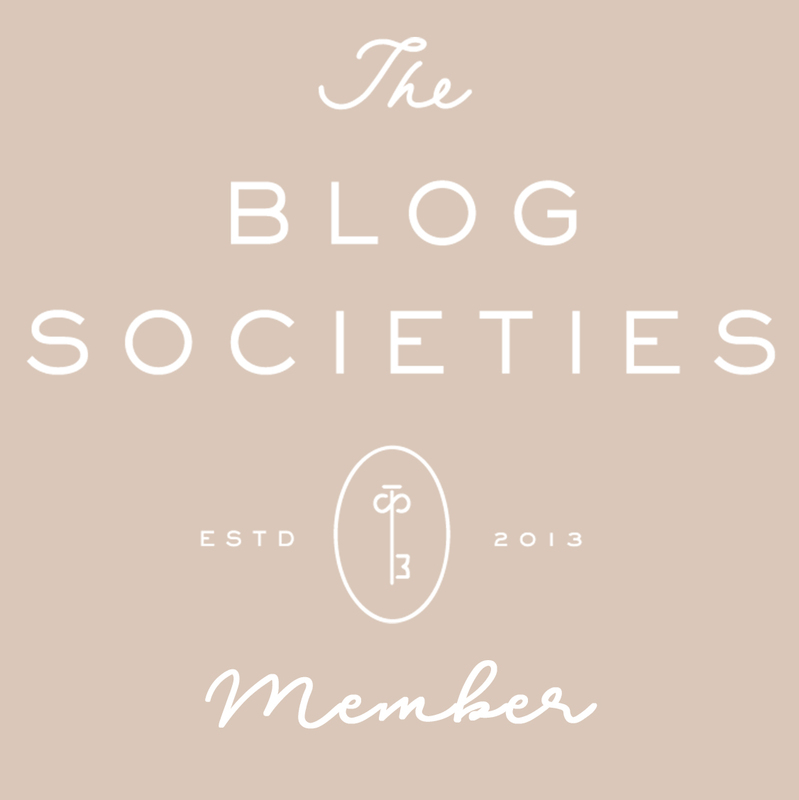 Read this one from BHG. A huge thank you to California Design Den for sharing their delightful product with me, and just to be clear my favorable opinion is 100% my own! I only want to recommend products to you that I love and know you will too. 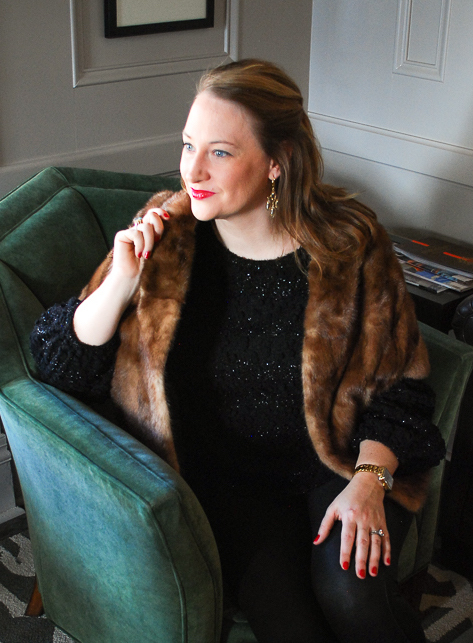 I’ll be sharing our full master bedroom reveal soon! Stay tuned! For now grab your Southern Living and some hot tea and let’s snuggle up!